As one of the area’s most established dental practices, we’ve been providing comprehensive oral health care to local families for over 15 years. When you visit our office, you’ll see the same familiar faces who treat you like a member of their own family. We’re not just here to work—we’re here to make a difference in the future of your smile! 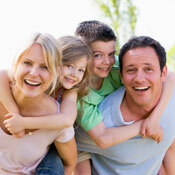 Our family dentists enjoy seeing patients of all ages, including young children. From offering routine preventative care and general dentistry to your child’s first dental appointment, we’re committed to ensuring a gentle and conservative oral health experience for everyone. Do you feel embarrassed or ashamed of the way your smile looks? 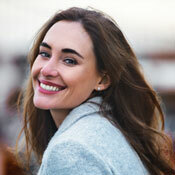 Problems like worn, missing or discoloured teeth can easily be addressed with our custom cosmetic dental treatments. We offer a range of services including same-day teeth whitening and ceramic restorations that mimic the look of natural teeth. 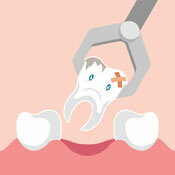 Dental extractions and wisdom tooth removal may seem intimidating, but they can enhance the overall health of your mouth by eliminating pain and secondary sources of infection. We offer in-house oral surgery as an efficient and affordable resource to our patients. We accept all health funds and are preferred providers for HCF, BUPA, Medibank Private and CBHS. We’re also available for same-day appointments for new and existing patients alike. If you have concerns about your teeth or are looking for a new family dentist, you’ve come to the right place! Did you know that we’re open late? Contact us today to schedule you or your child’s next visit.